Scratch, not to be confused with the Scratch I reviewed in Durham a few years back, bills itself as a purveyor of American comfort food in an elegant style, a common trend among restaurants these days–upscale comfort food is the new American bistro. And who can blame them, as restaurants dare much if they don’t have a version of mac and cheese, fried chicken, or flatbreads on the menu. We do always need to please our less adventurous friends! And who am I to talk when I did a whole series on mac and cheese in the Bay Area? What I find interesting, though, is that their description fails to highlight Scratch’s extensive seafood focus as seafood and American comfort food don’t always go hand in hand. 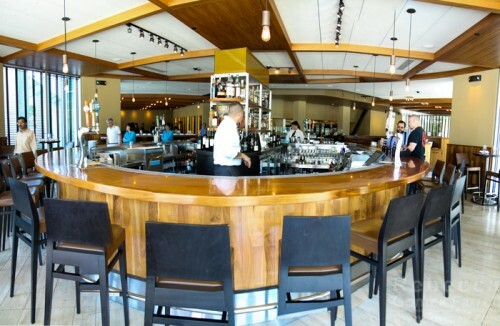 Scratch has an impressive raw bar menu and a preference for seafood reflected in their appetizers, salads, and entrees. Indeed, both my friend and I opted for menu items that included it. I waffled between the lobster cocktail and the lobster roll, being as I had a dinner appointment as well and didn’t want to fill up too much. But our somewhat inattentive server gave me his preference for the roll without hesitation, so I went with it. Don’t ever underestimate the importance of the waiter recommendation for the indecisive diner. He chose well! While pricy at $24, my lobster roll had plenty of succulent meat. Carrot, red onion and Old Bay seasonings accented, rather than dominated, the lobster’s delicate flavor. I would have liked the bread, almost Hawaiian in its sweetness and fluffy texture, to have a condiment coating at the ends, but it held together well, which is the more important quality. The mixed greens, which I opted for instead of fries, were okay, with some of the lettuce leaves wilted. 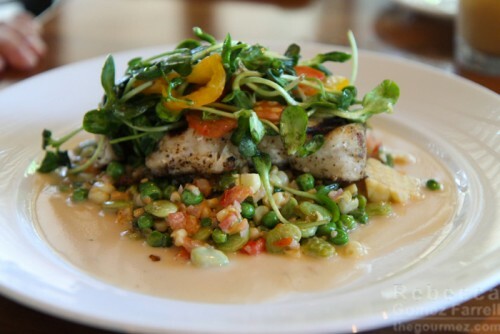 Friend #1 decided to go for the market fish special, which was $20 for a rather large helping of grilled halibut over peas and carrots succotash. It came with a side of some sort of shoot salad and shallot dressing. She loved the shoot salad, though both of us failed to identify exactly what sort of shoots they were–maybe lima or soy bean? The shallot dressing impressed her most with its hint of fruitiness from the wine vinegar involved. The halibut, while delicious on first bite, soon lost her interest as it was mostly flavorless–cooked tender, but not at all dressed up. Sometimes, at some prices, simple isn’t enough. Friend #1’s succotash in a beurre blanc sauce also failed to impress, providing a mushy texture that did not combine well with the halibut. It gave off a creamed corn impression that she found too sweet. That’s not the best way to end a meal, but luckily, Scratch started off quite well! 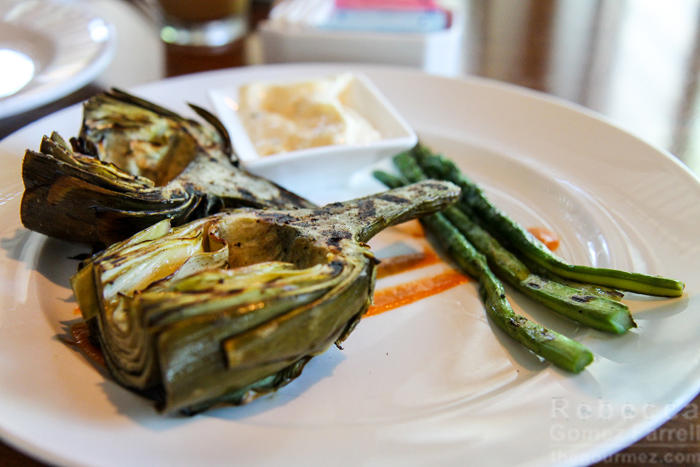 We began with a grilled artichoke appetizer served with grilled asparagus, lemon aioli, and red pepper sauce. Friend #1 was more impressed than I, reveling in the flavor the grill brought to the artichoke–it was especially noticeable for the outer leaves and when eating the heart. I, however, have strengthened my conviction that artichoke is best prepared steamed rather than grilled, as the uneven heat distribution makes the leaves tougher than they should be. Still tasty, but artichoke can be so much more. The asparagus was grilled nicely, but I’m not sure why it was added to the dish. Great red pepper puree, though! And Friend #1, who isn’t a big mayo fan in general, though the lemon aioli was aces. Is it weird that we may have been most impressed with our drinks? 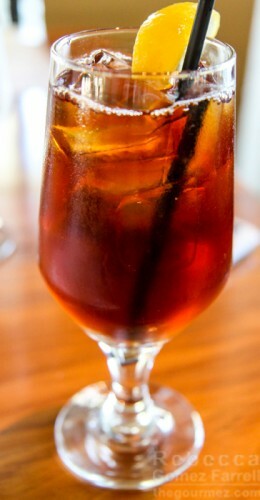 That was one of the best iced teas I’ve had in ages. I think a hint of fruit made it shimmer, but I can’t vouch for that. Friend #1 loved her iced coffee, made from Equator beans, so much she nearly forewent cream and sugar, which is not her usual cuppa. I’d also like to give Scratch accolades for the atmosphere. 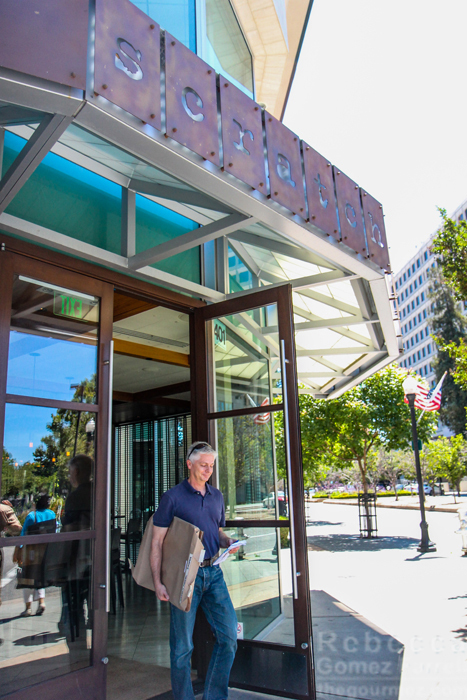 The large, oval bar dominates the entryway, providing a tantalizing look at Scratch’s extensive whiskey collection, though we forewent alcohol as I knew I’d be driving around the South Bay all day. The selection of wines, ryes, and other spirits is large enough to intimidate! I also liked how the restaurant managed to look quite calm, almost empty, but walking to our seats revealed that the space was nearly full. The design is crafted toward creating quiet and privacy for diners, which was welcome and something that most upscale comfort food joints forswear in favor of high ceilings and a loud ambience that caters toward trendiness. I’m finding it hard to arrive at a rating for Scratch. Ultimately, value is playing a role in this one, as I enjoyed my meal, but for the price, I expect every element to be well-thought out and of highest quality, and Scratch failed to hit that standard. 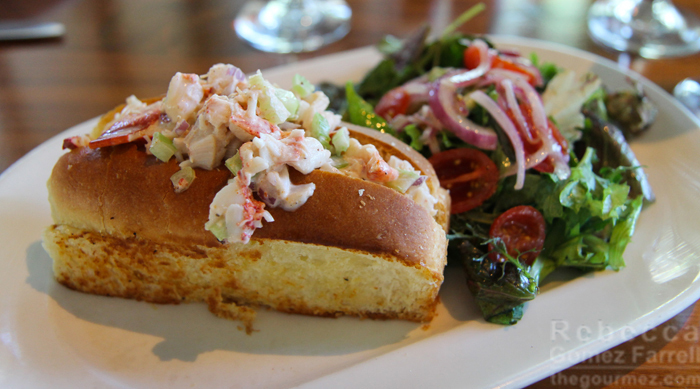 The lobster roll was fantastic, but the salad was not. The halibut lacked flavor, but the lemon aioli impressed. Which means Scratch has hit or miss potential and for that much money, I want to be assured a hit. Ultimately, that makes my decision a chicken Scratch.